Welcome! 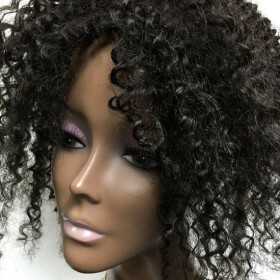 Here at CUSTOMHAIRZ, we make custom made and ready made U-Part wigs, ponytails, toppers and human hair extensions. All lengths, colors, and textures are possible because we understand the needs of hair piece clients. We can also customized a hair piece if you have something special in mind. We're also located in California and the work is done here in our facility. 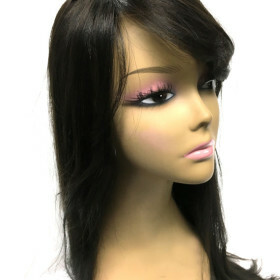 Once your orders are place, if the wig or hairpiece is ready made, we'll ship it within 24-48 hours excluding weekends. If an item needs to be made, then It'll ship within 3-4 days after the order and payment has been received. The shipping cost is flat $10.00 for all domestic US. The shipping is handled and delivered by the USPS and normal delivery time is 2-3 business days. 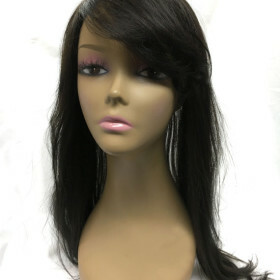 All our wigs are made to order. 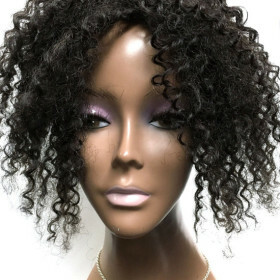 We buy the hair and they are made in our facility by our skilled wig maker and so we cannot offer a refund. We do however make adjustments and corrections to any problems so please inform us of the issue and we'll be do our sincere best to accommodate.